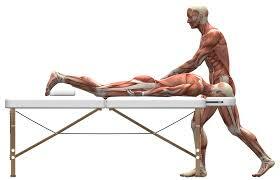 The practice of massage has been well documented and references to it can be traced to China as far back as 1000BC. Since then the practice of massage has migrated across the world evolving into various formats and styles however the effects have remained largely unchanged and mainly relate to an improvement regarding both physiological and psychological well-being. The term ‘sports massage’ is somewhat deceptive as it benefits people in all walks of life regardless of age, profession or occupation, not just those involved in sports. It is a firm treatment that focuses on the maintenance of muscles and other soft tissue (tendon, ligament & fascia) in order to keep them in optimum condition by helping to avoid damage before it occurs. Potential soft tissue problems can be identified and followed up with early intervention which helps to prevent an injury that may subsequently result in the individual being unable to continue with their activity or occupation. The treatment provided, which often involves assisted stretching to compliment the massage, will depend on various factors for example is it a routine maintenance massage to keep the muscles in prime condition? Or alternatively maybe it's for the preparation of a sports event or to aid recovery following such an event. However, it is no coincidence that all professional athletes incorporate regular sports massage in to their training as it provides many benefits at a number of levels and for those that are actively involved with sports, massage compliments their training to enhance performance. With remedial massage great emphasis is placed on identifying the source of dysfunction and to provide post treatment advice rather than just attempting to treat the problem in isolation. By applying this approach clients can expect better results and longer lasting benefits as opposed to a ‘quick fix’. It is also used to provide relief of symptoms to individuals affected by a range of conditions such as Multiple Sclerosis or Asthma whose sufferers can benefit from a reduction of secondary effects of induced muscle tension and in the case of MS an improvement in circulation. Most people are unaware of muscle damage until they are serious enough to cause discomfort or impede performance, eventually resulting in altered posture and leading to biomechanical and functional problems. Identification of soft tissue anomalies are a key task for the therapist who, using a combination of techniques, aims to help the individual maintain or return to a much higher state of physical health. Reduction of muscle stiffness and pain in areas such as neck, back & shoulder which may result from postural problems or work related muscle tension.